This charming villa is located minutes from Grace Bay Beach, and offers a private swimming pool. Nutmeg sits close to nearby shopping and water sports, and its open-concept design proves that simple living can be simply luxurious. Just say the word and it’s all there for you: the beach, peace and quiet, and loads of privacy. Intimate luxury on Grace Bay Beach!! Nutmeg is a charming one-bedroom villa in the Turtle Cove region of Grace Bay Beach. A music system, WiFi, and air-conditioning run throughout the home. 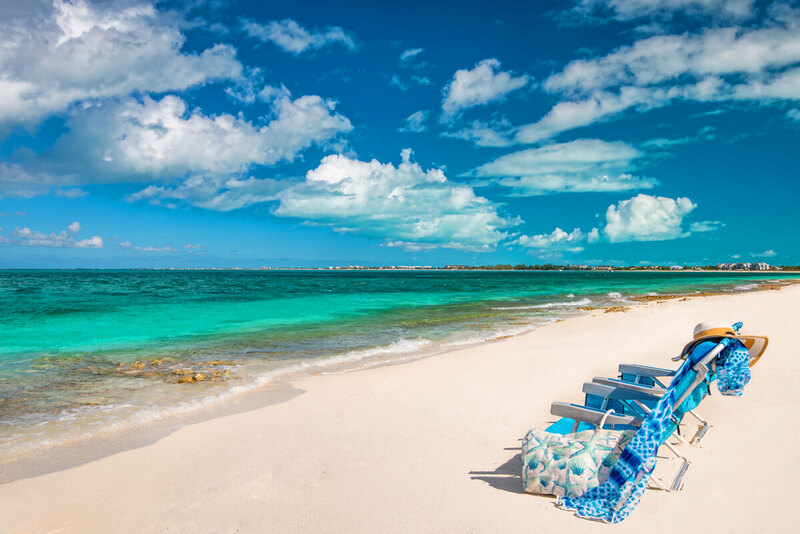 Grace Bay Beach and Smith’s Reef are a short walk from the villa’s back door. Smith’s Reef is widely regarded as the best snorkeling spot on the island, but there is a strip of beach rock between the soft, sandy bottom and the turquoise water. Nutmeg has its own freshwater pool surrounded by loungers and a breakfast nook, and a staircase leads up to a raised gazebo with panoramic views. A thatched awning shades a macrame and garden. The spacious living room is furnished with plenty of seating, a flatscreen TV, and a glass door that opens to the pool deck. The adjacent kitchen offers a breakfast bar, stainless steel appliances, and cookware. The king suite is furnished with its own flatscreen TV, an ensuite bathroom, and French doors that open to the pool deck. The ensuite bathroom has granite countertops with his and hers sinks, modern fixtures, and a large shower. Nutmeg offers a private villa experience, but is also a short walk away from several restaurants and activities in Turtle Cove Marina. Grace Bay Beach is home to the island’s hottest locales and endless fun. We stayed in Nutmeg for one week for our belated honeymoon. The villa was great. Everything you need, up to date, and roomy. The back patio and pool are amazing. Perfect place to sit after a beach day. The inside is beautiful and the bed was my favorite. Only cons (which you’re in paradise so who cares) were the cable went out in the bedroom, and the DVD player was broken, and while the walk to the beach wasn’t far, we did have to walk over construction materials. We weren’t really bothered, but picky people might be. The place is amazing and convenient to restaurants in the cove. This villa was amazing. It was everything we could have asked for and more. It was very clean and private and perfect for our honeymoon. I would recommend this villa to any couple looking for a relaxing get away! Andrew was great. Very knowledgeable about the island and the villa. He was very responsive to any questions we had and made some great recommendations.